547 people want to go here. 277 people have been here. Scotland is a country that is part of the United Kingdom. Occupying the northern third of the island of Great Britain, it shares a border with England to the south and is bounded by the North Sea to the east, the Atlantic Ocean to the north and west, and the North Channel and Irish Sea to the southwest. In addition to the mainland, Scotland includes over 790 islands including the Northern Isles and the Hebrides. 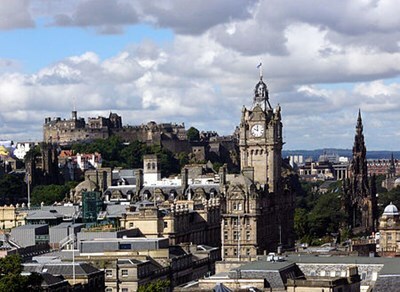 Edinburgh is the capital city of Scotland, the second largest city in Scotland after Glasgow and the seventh-most populous in the United Kingdom. The City of Edinburgh Council is one of Scotland's 32 local government council areas. 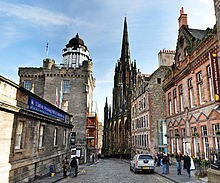 The council area includes urban Edinburgh and a 30-square-mile (78 km) rural area. Located in the south-east of Scotland, Edinburgh lies on the east coast of the Central Belt, along the Firth of Forth, near the North Sea. The Free Festival is an organisation that promotes Edinburgh Fringe shows of all genres at the annual Festival in Scotland. Free Festival venues are commonly independently run bars and nightclubs which create performance spaces in their premises for the duration of the Fringe Festival. Performers are allocated timeslots for free on the condition that they do not charge audiences an entry fee to watch the show . Loch Ness is a large, deep, freshwater loch in the Scottish Highlands extending for approximately 37 km (23 mi) southwest of Inverness. Its surface is 15.8 m (52 ft) above sea level. Loch Ness is best known for the alleged sightings of the cryptozoological Loch Ness Monster, also known affectionately as "Nessie". It is connected at the southern end by the River Oich and a section of the Caledonian Canal to Loch Oich. Glasgow is the largest city in Scotland and third most populous in the United Kingdom. The city is situated on the River Clyde in the country's west central lowlands. A person from Glasgow is known as a Glaswegian, which is also the name of the local dialect. Glasgow grew from the medieval Bishopric of Glasgow and the later establishment of the University of Glasgow in the 15th century, which subsequently became a major centre of the Scottish Enlightenment in the 18th century. The Highlands are an historic region of Scotland. The area is sometimes referred to as the "Scottish Highlands". It was culturally distinguishable from the Lowlands from the later Middle Ages into the modern period, when Lowland Scots replaced Scottish Gaelic throughout most of the Lowlands. The term is also used for the area north and west of the Highland Boundary Fault, although the exact boundaries are not clearly defined, particularly to the east. Edinburgh Zoo, formally the Scottish National Zoological Park, is a non-profit zoological park located in Edinburgh, the capital city of Scotland. The mission statement of Edinburgh Zoo is "To excite and inspire our visitors with the wonder of living animals, and so to promote the conservation of threatened species and habitats". The land lies on the Corstorphine Hill, from which it provides extensive views of the city. Skye or the Isle of Skye, is the largest and most northerly island in the Inner Hebrides of Scotland. The island's peninsulas radiate out from a mountainous centre dominated by the Cuillin hills. Although it has been suggested that the first of these Gaelic names describes a "winged" shape there is no definitive agreement as to the name's origins. The Royal Mile is a succession of streets which form the main thoroughfare of the Old Town of the city of Edinburgh in Scotland. Located on the island of Staffa, Scotland, Fingal’s Cave, also known as “Uamh-Binn” in Gaelic (meaning “cave of melody”), is well-known for its arching, cathedral-like geological features and emanating eerie sounds. 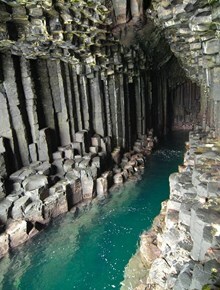 The cave, along with the entire island of Staffa, is composed entirely of hexagonal basalt columns, which produces the naturally arched ceiling. The easiest way to see this awe-inspiring cave for yourself is to take a sightseeing cruise from the town of Mull. The cruises land close to the cave, and the hexagonal basalt columns serve as perfect stepping stones to walk along the shore and enter the cave." For over 50 years Scotland's capital city has seen a unique explosion of creative energy within the Fringe, the largest arts festival in the world.